If you saw a mobile phone on the road you'd pick it up right? If you see one look hard - it could be a sculpture with a message of dissent on it. 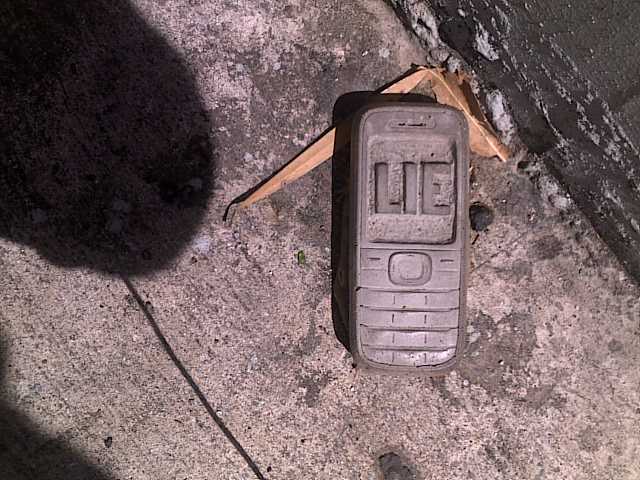 Found this Nokia 8250 sculpture on a Hosier Lane windowsill. It says "FUK ART" on it. Confused whether this is a good thing - you know, the irony - or if it's a dishevelled artist trying to 'break the mould' of street art and graffiti? These next two pics were submitted by a reader. This one is near the Seymour Centre. Wondering if retro electronics are going to make a comeback, like the Casio LCD watch did. 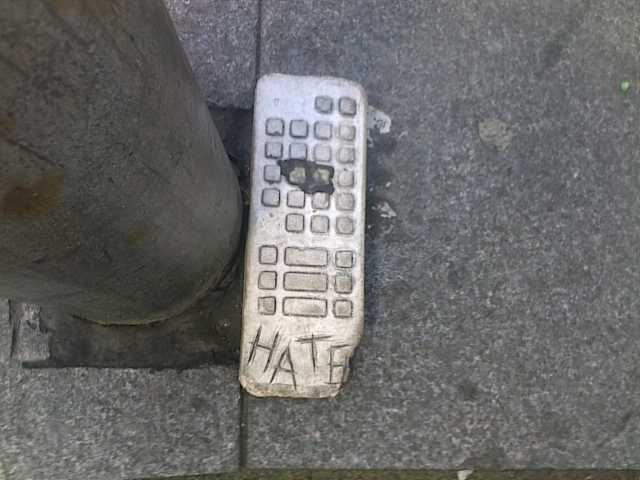 It'd be so progressive to consolidate 90s technology with the present and make a street art blog with a Nokia 5110. Are these sculptures a critique of society's growing dependence on electronics? Maybe they're making us lazy. Maybe we're providing cloud computing and consumer electronics corporations too much personal data. Do I need to see Gmail ads about street art prints as I'm typing emails about street art? I've seen these at a few places around Sydney. If I find out who does them I'll let you know! Will Coles is the artist. 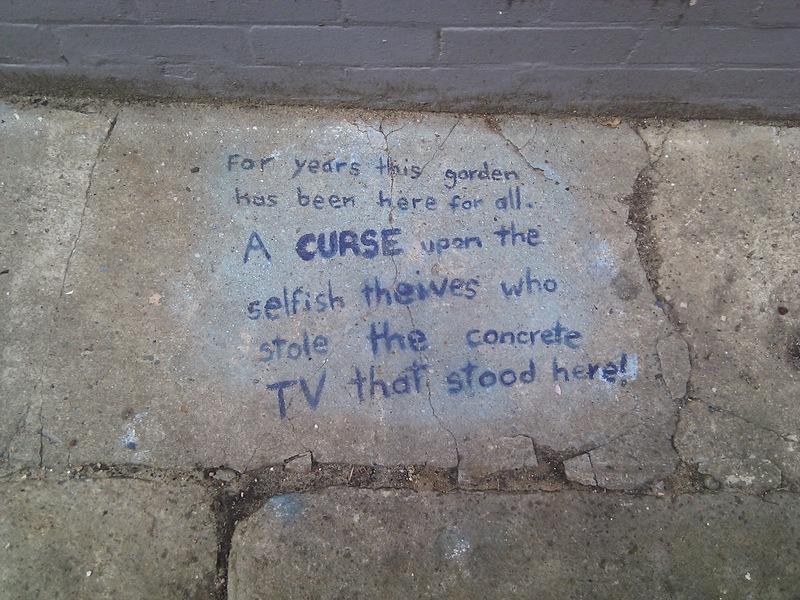 "For years this garden has been here for all. A CURSE upon the selfish theives who stole the concrete TV that stood here"
Keep me in the loop if you hear more. Aye, t'is my work. There's a few more in Hosier lane, a few hundred in Melbourne actually & over a 1,000 in Sydney, not counting the concrete TVs, suitcases & washing machines. Glad you like them. Thanks for dropping a line Will. I hope people get the idea to leave them alone.